BBC Radio 5 Live Sports Extra's management team is in discussions with the BBC Trust to expand the station's offering from 2016, with additional coverage of sports not currently given much airtime on BBC Radio. The proposals include a minimum of 10 hours of new magazine programmes on the digital radio station, including special programmes in the lead up to the Rio Olympics and Paralympics. A new weekly show all about netball, one of the UK’s fastest growing sports is also planned, alongside a weekly magazine show during the women's football season and a cycling programme. An additional 10 hours a week of repeated sports feature programmes from BBC Radio 5 Live and BBC World Service would also feature on the station. High-profile sports including Premier League football and international Rugby Union would not be included in the new broadcasting hours, according to the proposal, which will face fierce scrutiny by commercial radio operators, especially UTV Media, which plans to expand TalkSPORT's offering on DAB digital radio next year. For the BBC, the intended expansion of 5 Live Sports Extra with greater coverage of minority sports furthers its objective to promote digital radio. 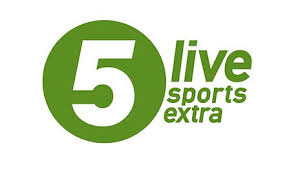 Subject to BBC Trust approval, the extended BBC Radio 5 Live Sports Extra schedule would start in January 2016. As predicted, commercial radio is not happy with the proposals and the way they have been released to the public. And RadioCentre, the organisation set up to promote the interests of commercial radio in the UK is complaining of "mission creep". It doesn't see why the new programmes can't be broadcast on the main 5 Live service.